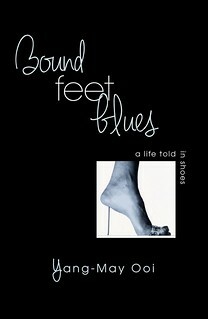 2The complete one hour show of Yang-May Ooi’s Bound Feet Blues – A Life Told in Shoes is now available free on YouTube. Bound Feet Blues – A Life Told in Shoes ¦ written & performed by Yang-May Ooi¦ directed by Jessica Higgs ¦ produced by Eldarin Yeong. 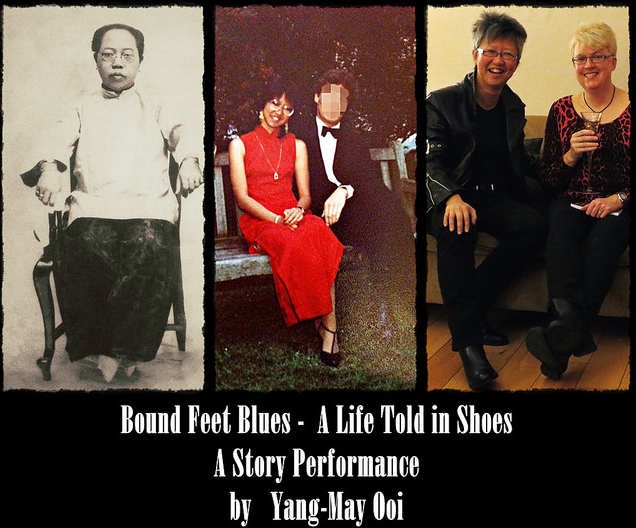 Bound Feet Blues tells the story of Yang-May Ooi’s great-grandmother in China who had bound feet and the author’s personal coming out journey. Filmed at Tristan Bates Theatre in front of a live audience, Nov/ Dec 2016. Supported by Arts Council England, The Housing Finance Corporation and Maclay Murray Spens. Part of the South East Asian Arts Festival 2015.